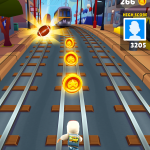 Hello everyone, today you can download Subway Surfers for Chromebook and play one of the most popular games right now from the Google Play Store. Just another reminder, you can now run Android apps and Android games on Chromebooks that were released in 2017 or newer. If you are not sure if your Chrome OS devices can run Android apps, we now have a list of Chromebooks that support Android apps. Today we will highlight an extremely popular game that now works perfectly on Chromebooks! Subway Surfers is literally an endless game where you basically skate/surf through towns collecting different items that will help you along the way including bonuses as you runway from some crazy dog and a crazier owner. 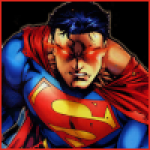 The game has been out for a few years now but it is constantly updated with new graphics, in fact the game is now technically in HD, perfect for retina display resolutions. You can end up playing this game for hours straight without even realizing it, it’s very addicted and at the same time fun. It’s perfect for all ages, let me know what you think about this game in the comments. 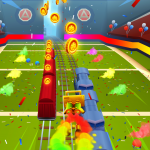 What Is Subway Surfers About? 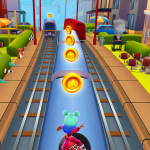 Subway Surfers sets you up to help Jake, Trick, Fresh and many other new and custom characters that you can play depending on which version of the game you have. 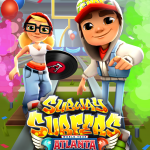 Example, they have Subway Surfers Atlanta, Subway Surfers Iceland etc and each version has new characters, new maps, new gameplay options and other enhancements. As you escape from the grumpy Inspector and his dog as you run through different towns and cities with adapting and changing environments that are fun and different each time you play the game. You can also download Roblox for Chromebook & Toon Blast for Chromebook as well.